Paula joined Spinverse in 2017 and works as a Project Manager in EU and Horizon 2020 related activities. 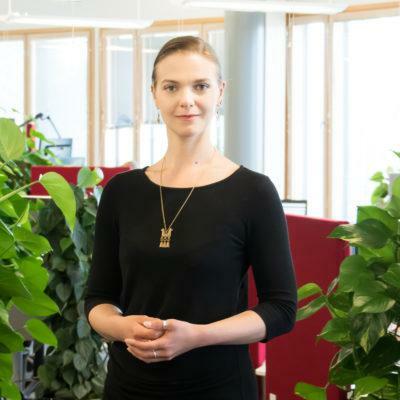 Before joining Spinverse, Paula worked in consulting the social and healthcare sector in Finland and the Nordics. She has gained experience in improving the productivity, effectiveness, and quality of service delivery systems supported by the analysis of operational data. Paula acquired her M.Sc. in Aalto University, where she majored in Industrial Engineering and Management and minored in Energy Systems and Economics for Communities. She is fluent in English and German, due to attending the German School in Helsinki. In her free time, Paula enjoys dancing, sailing, live action roleplaying, and sewing.